In summary, an induction loop is a special type of sound system that involves installing a loop of copper wire around a defined area within a building, such as a care home lounge. 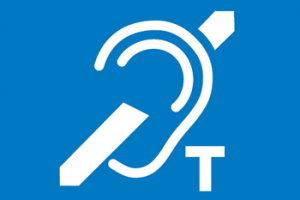 The loop transmits a wireless signal that can be received directly by anyone wearing a hearing aid (set to ‘T’), located within the ‘looped’ area. The sound source – such as a person speaking into a microphone is connected to a special amplifier, with its output connected to the loop. Can be used by anyone with a compatible hearing aid. Sound goes directly into the hearing aid. Cuts out unwanted background noise. It is inconspicuous – no need to use a headset. Any number of users can listen. Although induction loops use an inherently simple technology, care must be taken to ensure optimum performance and our experienced engineers can design and install a solution to suit your exact requirements.